Pineapple Bake is an old classic side dish recipe. I found it years ago in a local cookbook and discovered it is a delicious recipe that deserves to be brought back from extinction! After going through some of my grandmothers recipes as well as a few cookbooks that have good ol' recipes from days gone by in it I realized I wanted to make a few of them to share with you. So for the month of October I will make one recipe a week that would be perfect on your holiday buffet table. 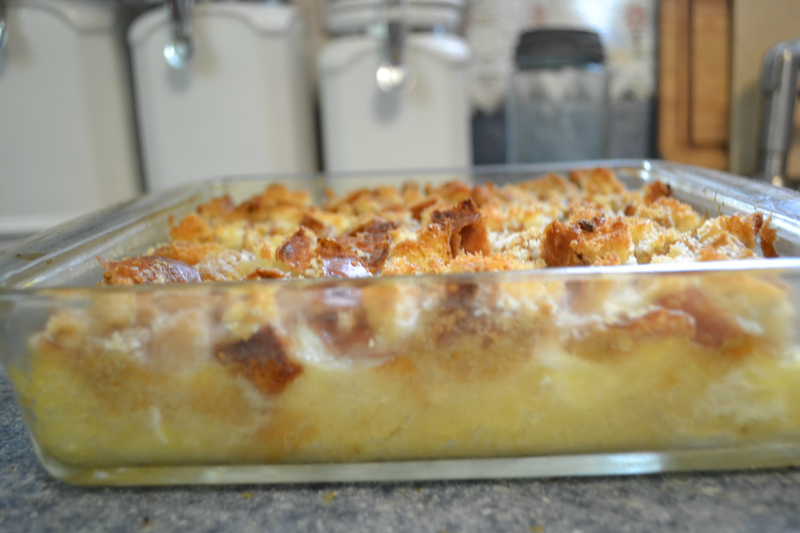 The original recipe in my cookbook is called Virginia Hospitality Pineapple Bake. This recipe is so good, it is perfect the next time you are assigned to bring a "side" dish for Thanksgiving or a potluck! 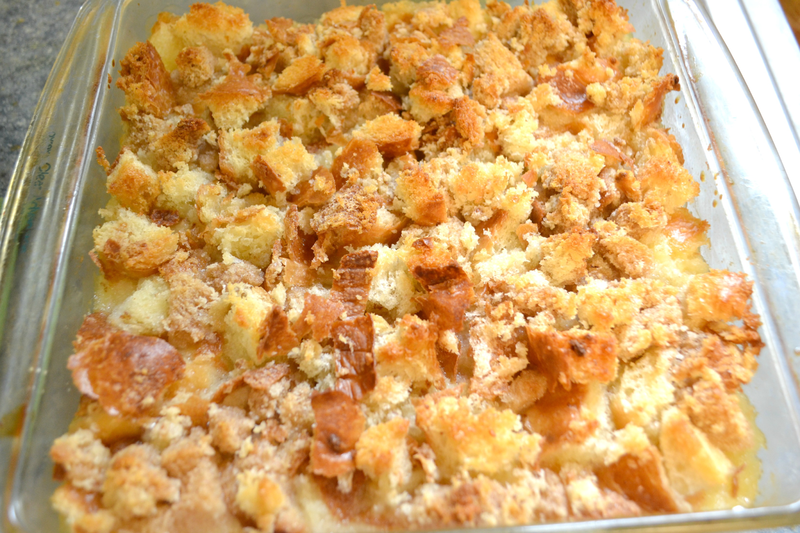 The crunchy, buttery toasted topping balances out the sweet pineapple cobbler that makes this dish so yummy! Jan's Tip: Use the smaller "tidbit" sized pineapple, rather than the "chunks". It is just easier to eat with the smaller pieces. 1 lg. can (20 oz) pineapple tidbits drained. Mix flour and sugar in a mixing bowl. Add the drained pineapple tidbits, and the entire can of crushed pineapple, eggs, & vanilla. Pour pineapple mixture into a 9 inch square baking dish. In separate bowl, toss the bread cubes with melted butter. Layer the bread cubes over the top of the pineapple mixture. Bake uncovered for 30 min. The Untold Story! So after I had baked and taken some photos of the dish on a Sunday afternoon, I didn't take a look at the photos until today (Wednesday). I discovered the lighting wasn't as great as I'd hoped, and went to take another photo of it dished out on a plate. Now, we are empty nesters, so there is only 2 of us.... this is what I found in the fridge:! Ha! Testimony of its deliciousness I'd say!